Whether it is national identification cards embedded with biometric chips or “birth permits” for expectant mothers, the Chinese are accustomed to authoritarian intrusions into their private lives. But there is another, largely invisible mechanism of social control that governs hundreds of millions of urban residents: the dang’an, or personal file, that documents matters mundane and profane. The dossiers start with a citizen’s middle-school grades, whether they play well with others and, as they become adults, list their religious affiliations, psychological problems and perceived political liabilities. Sealed inside tawny envelopes stamped with the word dang’an in red, the Mao-era system for recording the most intimate details of life is updated by teachers, Communist Party officials and employers. Copies are kept by local archive bureaus, the police or a person’s employer. China’s embrace of market economics — and the employment opportunities created by foreign firms and private employers — has diminished the dang’an’s power to derail careers. But for those seeking government work, including positions with state-owned enterprises and banks, an unfavorable dang’an entry can mar one’s job prospects. In recent years, corrupt school officials have been caught selling off the files of top students. The buyers: parents of middling students, who assume their identities to apply to college. Those whose dang’ans disappear can be thrown into a bureaucratic limbo, disrupting their educational plans and sometimes depriving them of pensions. Peering into one’s dang’an, needless to say, is not allowed. 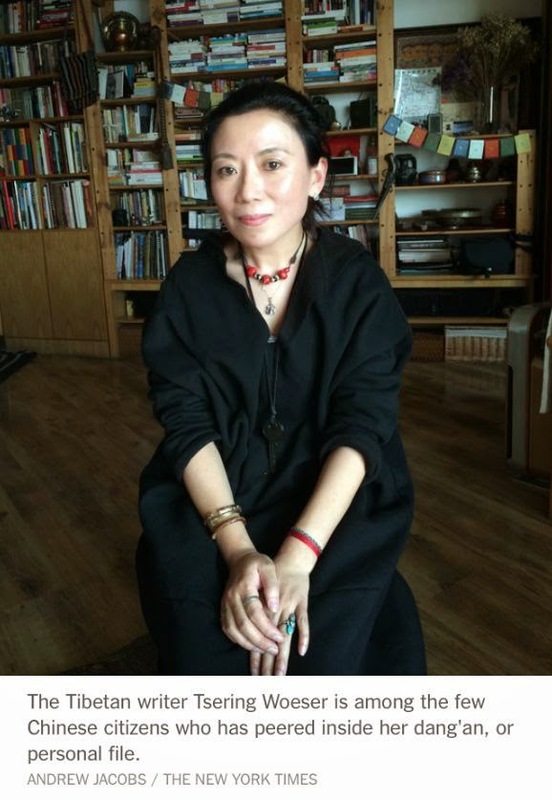 Four years ago, the Tibetan writer Tsering Woeser, 48, got a chance to look at her file. 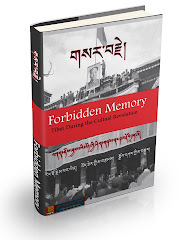 After she was fired from her job at the state-run Tibetan Literature Association in Lhasa — punishment for writing favorably about the Dalai Lama — Ms. Woeser asked a former colleague to help her get the file released so she could apply for medical insurance and other welfare benefits. In a bureaucratic stroke of luck, an official at the association gave the file to Ms. Woeser’s mother. 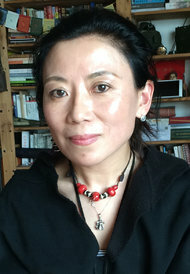 A friend of Ms. Woeser’s, the filmmaker Zhu Rikun, was so intrigued that he hopped on a train for the 45-hour trip to Lhasa. File in hand, he returned to Beijing a few days later and proposed filming Ms. Woeser as she read her file aloud for the first time. 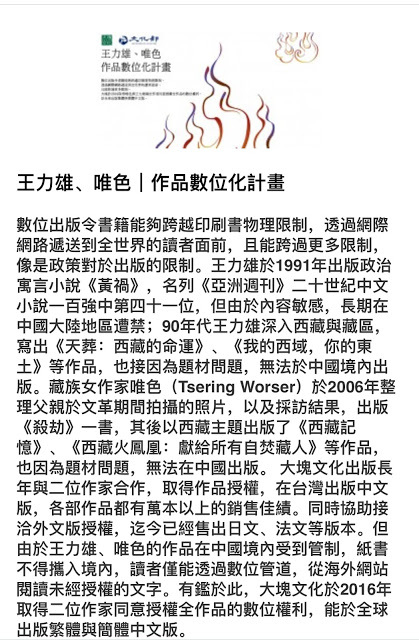 The result, a documentary called “The Dossier,” was shown last year at several film festivals outside China. Q: It’s hard for foreigners to imagine what it’s like to have a personal file that you can never see. What’s it like for ordinary Chinese? A.: Many of us have no idea what’s inside our dang’an, but our lives can be changed by it. It’s a terrible thing, like an invisible monster stalking you. It’s a special feature of a totalitarian regime. My file was born when I was in high school, at 15, but at the time, I don’t think any of us thought of it as scary. What was it like for you to see yours? I was excited since I had no idea what would be in there. It wasn’t that thick. But as I read it, I felt a sense of absurdity. I discovered myself as a 15-year-old writing things like “I love the Communist Party, I love the Communist motherland and I love our Great Leader Chairman Mao” in self-assessments. The file also included my family’s class status, which was a good one, because my parents were both party members and my father was a soldier. My grades were all good, as were the teachers’ comments, though some said I was not always obedient. When I started to work, there were comments like “Nice job this year, 10 renminbi (about $1.60) pay raise.” It was like they were talking about a machine, not about me. The words were terribly fake. Even at work, we had to write personal assessments, and one year, I wrote that I was a Buddhist, which was a very dangerous thing to say, but I said it anyway. Later, I declared that I had left the job voluntarily, although the truth is I was fired. That was the end of the file. Clearly my personal sentiments have changed greatly. Seeing my dang’an helped me revisit my past and see how pathetic we were, these 15- and 16-year-olds, saying formulaic things about our love for the motherland, and not permitted to express ourselves. It was a process of turning us into machines, devoid of free spirit or individuality. That’s why I was fired from my job, because the Communist Party does not tolerate the truth. I didn’t want to be a machine, so I spoke the truth. Now that I’ve left the system, my soul is free, and I’m happy. But you are not totally free, right? You can’t leave China, you are frequently placed under house arrest or questioned by the police. True, I’m in perilous situation. I’ve been trying to get a passport since 2005, but they won’t give it to me. They said it’s because I’m on the Ministry of Public Security’s list, and that I’m a danger to national security. Is it safe to assume there is another dossier that picks up where your old one left off? Yes, and that file must be very thick, because every time I’m “summoned to tea” with the police, they dutifully take notes, endlessly scribbling. And when we’re done, they even ask for my signature, though I refuse. I’d like to read that file, but I might have to wait until the collapse of the Communist regime. I don’t know what I would find but maybe I’d be saddened. I think, just like in East Germany before the fall of Berlin Wall, there would be many informers, including relatives and friends. When I returned to Lhasa last year, I counted 50 friends and relatives, just locally, who said they had been summoned to have tea with the police. One friend said he had even been beaten. Others have been roughed up, simply because they are my friends. It makes me feel very guilty.